Costa Rica Entertainment – Tom Pages has officially left his shoulder injury in the past. He’s back and better than ever. His return was triumphant, as he won the X-Knights. The Frenchman performed tricks never before seen in the country. This was Pages’ third win, having triumphed in 2011 and 2015. He then took a two year break because of an injury to his right shoulder. His return to the sport, at the twelfth edition, did not disappoint. Tricks like the double backflip made the public go wild in the National Stadium. 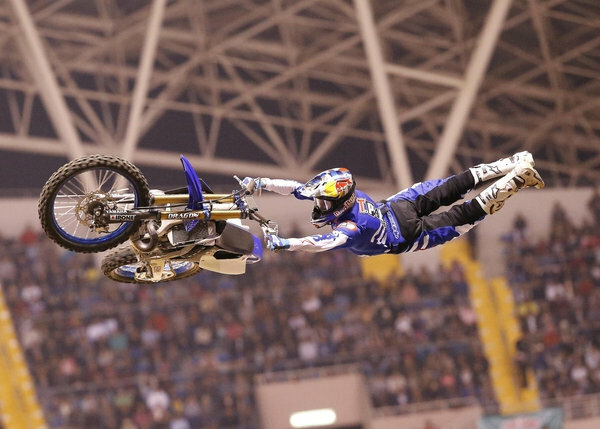 He also performed an impressive trick in which he jumps off the ramp and performs a somersault next to the motorcycle. Pages won with 100 points. In second place, Josh Sheehan had 98 points. Maikel Melero took third with 96. The defending champion, Australian Clinton Moore, was defeated due to a fall in the semifinals.